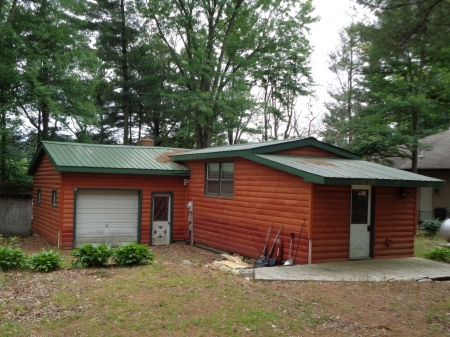 2 Bedroom, 1 Bath Tainter Lake Home/Cabin For Sale! Newer furnace, water heater, steel roof & septic. Has a wood fireplace. Easy approach to the waters edge. Pontoon dock included.